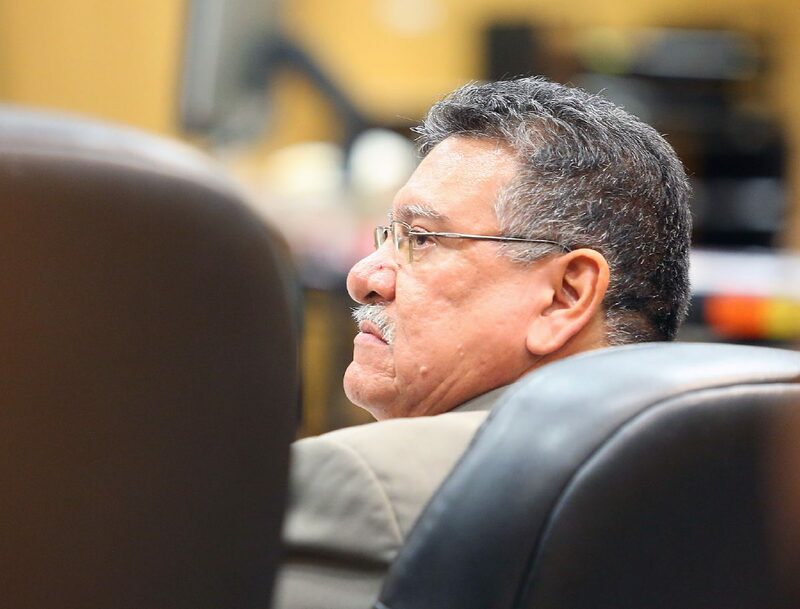 EDINBURG — After more than two full days of deliberations, a Hidalgo County jury has not reached a decision on whether to convict Eloy Alcala of killing two men in 2010. Jurors began deliberating late Thursday afternoon, and have since spent all day Friday and Monday in a cramped jury room, as the trial — which began Sept. 27 — entered its fifth week. Alcala, 51, faces two counts of capital murder for allegedly participating in the shooting deaths of David Garcia, 21, and Victor De la Cruz, 35, on Oct. 8, 2010. Hidalgo County assistant district attorneys trying the case have argued that Alcala and his son shot the men in retaliation after Garcia and the younger Alcala got into a physical altercation. Alcala’s attorneys, Jaime Alemán and Daniel Reyes, argued that Alcala had no role in the murders, and that a botched investigation by the Pharr Police Department resulted in the true killer, or killers, getting away with the crime. Alcala’s son, Eloy Jiovanni Perez Alcala, was convicted of the charges in a 2011 trial, and his father convicted a few months later in early 2012, only to win a new trial on appeal in 2014. The jury took seven hours to render a verdict in Alcala’s first trial, less than half the time the current jury has been in deliberations, which resume Tuesday morning.